Locked-out workers at the National Vegetable Oils Company in Egypt, which is owned by giant multinational agrobusiness Cargill, are appealing for solidarity. They have spent more than 120 on the picket line after being forced out of the factory and sacked for taking part in a peaceful protest against worsening working conditions and management bullying last December. 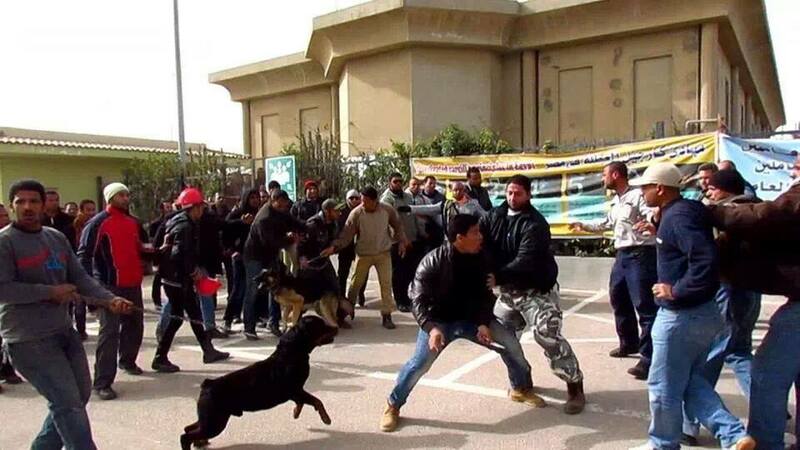 They are surrounded by thugs armed with knives who menace them with guard dogs.